2019 CMF CONFERENCE PAPERS SCHEDULE RELEASED! Click below to download and print the Speaker Schedule for the 2019 conference. REGISTRATION FOR 2019 CMF CONFERENCE NOW OPEN! In February, 2019, the Conference events will be hosted at Mission San Diego de Alcala, the Serra Museum and original site of Mission San Diego on today's Presidio Hill (San Diego History Center), the campus of University of San Diego, and the San Diego Maritime Museum. See all the details here. Cosoy to San Diego: First Overland Encounters, California 250. The Committee explained that the selected theme does not rule out anything being presented for the period prior to 1769, but a large focus of the conference would be on the events of 1769. For the 2019 California Missions Conference, the California Missions Foundation's Paper and Publications Committee invites paper and panel proposals that explore the events of 1769 in the mission lands of California. After millennia of sovereign land occupation by California Indian groups, the Spanish began to colonize Alta California beginning in 1769 with the establishment of Mission San Diego de Alcalá – the first official European settlement in our state. The theme of Cosoy to San Diego: First Overland Encounters, California 250 should be considered broadly. Scholars from various disciplines can explore events leading up to 1769, events in 1769, and events after 1769. If you would like to submit a presentation for consideration for the upcoming 2019 California Missions Conference, please send the following via email to Conference@californiamissionsfoundation.org: 1. An abstract of 100 to 200 words. Indicate if it is a single presentation (20 min including questions), or a panel session (60 min.) 2. Names of all presenters, affiliation(s), contact information (including e-mail) 3. Audio-visual requirements. Abstracts are due via email by November 15, 2018 to the attention of the California Missions Conference Program Coordinators: conference@californiamissionsfoundation.org. 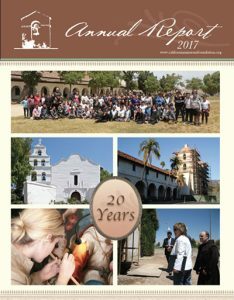 The CMF Publications Committee recently voted unanimously to move forward the publishing of the 2019 edition of Boletín to the spring, allowing this edition to commemorate the 250th anniversary of the founding of the first official Spanish settlement in California, the dedication of Mission San Diego de Alcala on July 16, 1769. With this in mind, the Committee is looking for submissions that follow the above conference theme, Cosoy to San Diego: First Overland Encounters, California 250, and it is now accepting articles and article proposals for the 2019 Boletín. The journal is a peer-reviewed academic journal that features the best of California Mission Studies from a wide variety of disciples. The Boletín committee is also willing to entertain articles/proposals on any topic related to California's pre-statehood history. Generally, the committee is committed to accepting as many articles as possible, but there are restrictions on time and space for which the committee must account. In all cases, decisions to accept or deny an article/proposal will be based on the following criteria: Relevance to the conference theme, the Article's timeliness and/or distinctiveness, the Article's relationship to other articles (the Boletín should showcase the diversity of the field of mission studies. The committee will try to achieve balance by not accepting too many articles related to a particular region, discipline, or subject). Interested authors should submit paper proposals by December 15 15, 2018. A timeline for completion of the articles will be established between the committee and selected authors. 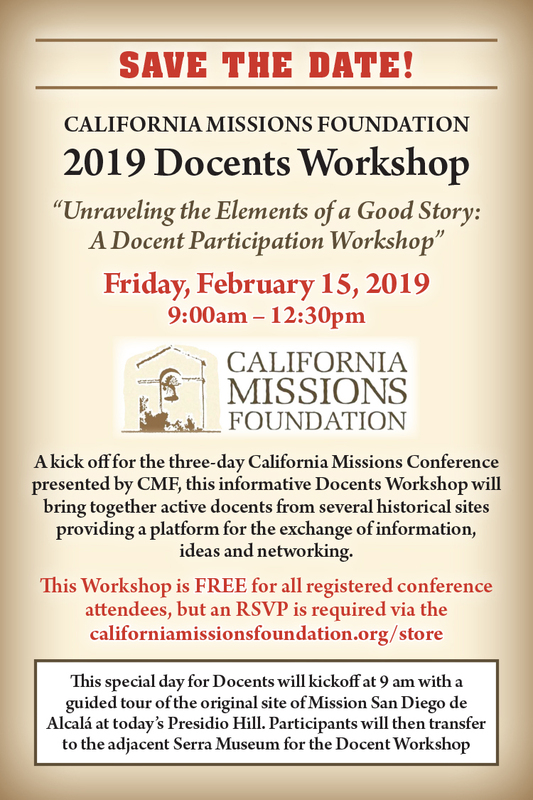 California Missions Foundation is proud to unveil a special workshop for Docents from throughout the state on Friday, February 15 from 9 am -12:30 pm in San Diego. 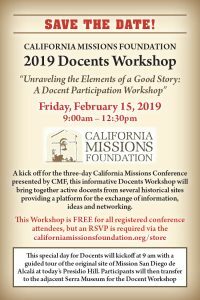 A kick off for the three-day California Missions Conference presented by CMF, this informative Docents Workshop will bring together active docents from several historical sites providing a platform for the exchange of information, ideas and networking. The Workshop is free for all registered conference attendees, but an rsvp is required via the californiamissionsfoundation.org website under 'Store." Covering the 4th grade curriculum. Training: how often and who does it? Merits of each docent developing their own tour script instead of every one using the same one. This special day for Docents will kickoff at 9 am with a guided tour of the original site of Mission San Diego de Alcalá at today's Presidio Hill. Participants will then transfer to the adjacent Serra Museum for the Docent Workshop. 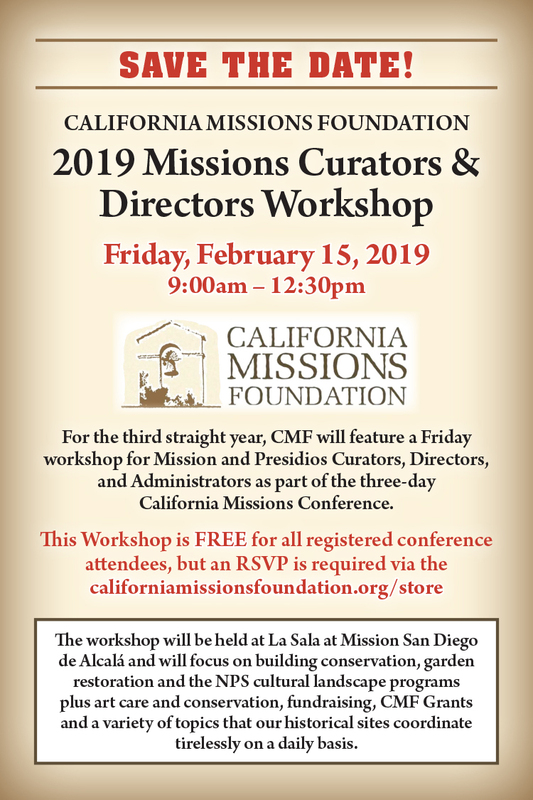 For the third straight year, CMF's California Missions Conference this coming February 15-17, 2019 will again feature a Friday Workshop for the Mission and Presidios Curators, Directors and Administrators. The Workshop will be held from 9 am-12:30 pm on Friday, February 15 at La Sala at Mission San Diego de Alcalá. 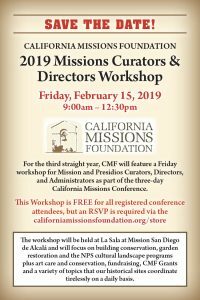 The CMF Missions and Presidios Workshop will focus on building conservation, Garden restoration and the NPS cultural landscape programs plus art care and conservation, fundraising, CMF Grants and a variety of topics that our historical sites coordinate tirelessly on a daily basis. Besides the educational presentations, Mission and Presidio staffs will have the chance to discuss their common issues and engage in joint problem-solving. The conference has also regularly honored those who aid the Missions and Presidios with a Distinguished Award that will again be presented this year. One of the important things to come out of the first two CMF Workshops was the creation of a detailed contact list for continued contact and networking. CMF keeps that list up to date today. CMF's continued support of the Missions and Presidios Workshop will provide another top quality 2019 informative exchange as well as support for those charged with the day-to-day protection of the missions' and presidios' heritage of buildings, artifacts and cultural legacy. The California Missions Foundation's 2015 Annual Report is now online and available to read. Click the link below to learn about all the exciting contributions CMF has made to the missions community in 2017. The CMF publications committee is now accepting articles and article proposals for the 2018 Boletín. The journal is a peer-reviewed academic journal that features the best of California Mission Studies from a wide variety of disciples. The committee is especially interested in articles that reflect the theme of the 2018 California Missions Conference: Partnerships. "It is always something we should promote and always something to strive for," said California Missions Studies Chair Mike Imwalle. The Boletín committee is also willing to entertain articles/proposals on any topic related to California's pre-statehood history. Generally, the committee is committed to accepting as many articles as possible, but there are restrictions on time and space for which the committee must account. In all cases, decisions to accept or deny an article/proposal will be based on the following criteria: Relevance to the conference theme. The Article's timeliness and/or distinctiveness The Article's relationship to other articles (the Boletín should showcase the diversity of the field of mission studies. The committee will try to achieve balance by not accepting too many articles related to a particular region, discipline, or subject). Interested authors should submit paper proposals by July 15, 2018. A timeline for completion of the articles will be established between the committee and selected authors. As the 250 anniversary of the founding of Alta California draws closer, the California Mission Foundation celebrates its own twenty-year history anniversary and its work with the California Missions and Presidios. Click here to read about a few of the hundreds of projects completed at over 25 Missions, Presidios, and Asistenicias. For the 12th consecutive year, the California Missions Foundation is sending fourth grade students on field trips to their local mission through its annual "All-Aboard-the-Bus" Field Trip Grant Program. In accordance with the CMF By Laws, the CMF Board of Directors elected its officers for the current year during the winter board meeting held in conjunction with the recent California Missions Conference. Jim Lazarus, formerly the vice chair of CMF, was unanimously elected Board Chair. He will be joined on the CMF Executive Committee by newly-elected Vice Chair Alan Kemp, Secretary Dr. Edith Piness and Treasurer Mike Imwalle. The California Missions Foundation is pleased to announce its selections for the 2018 Norman Neuerburg and Edna E. Kimbro Awards. The awards were presented at our annual California Missions Conference which was held at Mission Santa Clara, February 16-18, 2018. Two Norman Neuerburg awards were presented for 2018. A 2018 Norman Neuerburg Award was presented to Mr. Brian Kelly, for his Mission preservation achievements as a volunteer project manager and construction coordinator for the Diocese of Monterey. 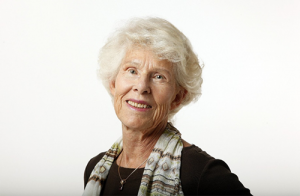 A 2018 Norman Neuerburg Award was presented to Dr. Iris Engstrand for her scholarship as a Distinguished Professor of History at the University of San Diego and her ongoing service to the Mission Studies community. The 2018 Edna E. Kimbro Award was presented to Ms. Theresa Brunner for her preservation achievements as the Mission Curator at Mission San Rafael Arcangel, in addition to her invaluable organizational support for both the California Mission Studies Association and California Missions Foundation. Considered to be the "Harry Downie" of his generation, Brian Kelly has served the Monterey Diocese for over thirty years as a trusted volunteer project manager and construction coordinator on a variety of construction, restoration and repair projects. 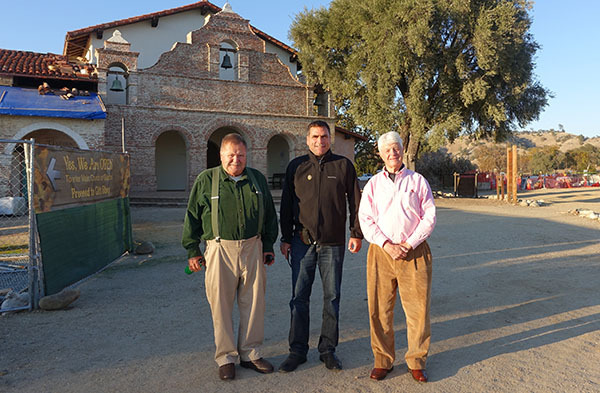 The list of historic preservation and restoration projects Brian Kelly has helped to guide is impressive, including the seismic retrofitting of the Royal Presidio Chapel in Monterey, the Carmel Mission Basilica, Mission San Antonio de Padua, and Mission San Juan Bautista. 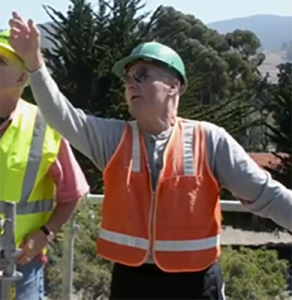 Brian's effectiveness and passion for the Missions have led to the completion of projects which will continue to serve the public for generations to come. Brian received his degree in Civil Engineering from Iowa State University and earned his MBA from Stanford University. After serving in the Marine Corps during the Korean War, Brian began a career with Granite Construction Company as an Engineer. He would later become a Division Manager and a Vice President of the company. Brian retired from Granite Construction in the early 1980's to focus on community volunteer projects and personal development. In 2017, Dr. Iris Engstrand retired from the University of San Diego as a distinguished Professor of History, after serving California's academic and civic communities for nearly five decades. Iris completed her undergraduate and graduate studies in history at the University of Southern California and focused her professional career on the Hispanic Period in California and the Southwest. Her special interests include 18th century Spanish scientific and exploring expeditions and the influence of the enlightenment on Spanish California. Iris's research on Juan Rodríguez Cabrillo led to her involvement with the San Diego Maritime Museum's reconstruction of the 16th century vessel San Salvador. Her community service, professional activities, publications and honors are too numerous to enumerate, but among these is the Royal Order of Isabel de Catolica, awarded by King Juan Carlos of Spain, for her outstanding cultural contributions. Theresa Brunner's devotion to Mission San Rafael Arcangel reflects her family's legacy at the Mission, which now spans five generations. Having established herself as an art historian and educator, Theresa assumed the duties of San Rafael's curator in 2005. Her many projects have ranged from overseeing the preservation of Saint Junípero Serra's vestments to coordinating the restoration of Indian baskets at UC Berkeley. Theresa has also provided invaluable service to the Mission Studies community. 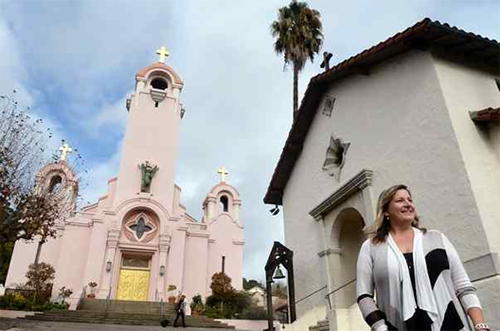 She has orchestrated lecture series, special celebrations and exhibits for Mission San Rafael, both at the Church and at outside venues, such as the Marin County Civic Center. She has provided perennial support in organizing California Mission Studies Association's events. Theresa was the principle organizer for CMSA's very successful conference at Mission San Rafael in 2012. Theresa's most recent accomplishment as a volunteer curator was organizing the 200th anniversary celebration of the founding of Mission San Rafael Arcangel. Theresa currently serves on the Board of Directors of the California Missions Foundation and is a former Vice-president of the California Mission Studies Association Board. A pair of CMF chairman's awards were also handed out during the 2018 California Missions Conference. Mechelle Lawrence-Adams, executive director of Mission San Juan Capistrano, and Derek and Valerie Sanders representing Linden Root Dickinson Foundation were recognized for their outstanding efforts in the area of missions preservation. The Linden Root Dickinson Foundation, a private family foundation, was started in 1990, with Mrs. Dorothy Linden Root and her daughter, Mrs. Joan Linden Sanders, as the primary benefactors and guiding lights. The importance of giving had been instilled in them by Mr. Ray Dickinson, father of Mrs. Root. The foundation has a variety of interest areas including education, historical preservation, children's welfare, relief funding, and social services. For many years, Linden Root Dickinson has provided generous funding for a long list of preservation and conservation projects throughout Alta California's Mission chain, and the foundation has been a valued partner of CMF. Meanwhile, at Mission San Juan Capistrano, Mechelle Lawrence-Adams has carried out hundreds of programs, campaigns and endeavors to support a long term sustainability plan for this critically important California and Orange County landmark. 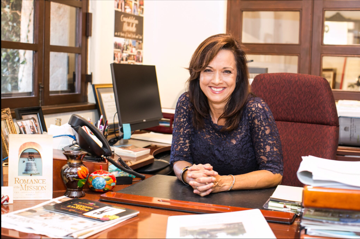 Her 15 years at Mission SJC's helm as executive director, she has raised well over $10 million net working hand in hand with the Mission San Juan Capistrano Preservation Foundation, staff, volunteers, and community partners. Mechelle oversees a staff of 65 and volunteers of 305. She has overseen the hiring and development of a museum and preservation team to ensure the conservation of over 40 historically paintings, including specifically finding a long lost, forgotten c. 1801 painting hidden for over 40 years. As the site's chief preservation officer she has enthusiastically led the Museum rooms' and exhibits' upgrades. Recognizing the importance of the future generation in ensuring the continued appreciation of the landmark, Mechelle has paved the way for successful, impactful, and measurable education programming. She is also deeply dedicated to ensuring the rich history that comprises the 240 year span of Mission San Juan Capistrano is inclusive and represents a wider array of perspectives, including those of family, female, Native American, padre, and soldiers. She has been the recipient of numerous awards for her preservation work in Orange County. The California Missions Foundation is pleased to publish the Foundation's 2016 Annual Report. Thank you to everyone that helped to make it a successful year. Read the Annual Report here. A major project to determine if there are additional burials outside of the Old Mission Santa Ines walls was recently made possible by a CMF grant. After a two-phase effort that included both ground penetrating radar as well as a trained canine unit, historic burials were indeed discovered just outside of the current Mission cemetery walls and beneath ground where the Mission holds its annual summer Fiesta. Long-time CMF member and Mission archivist Sheila Benedict has been reviewing the mission's burial records for more than decade and, in all, counted just under 2,000 names that were not marked in the present-day cemetery footprint. Based on her hunch, an institute team specializing in aged human remains was arranged using a grant from the California Missions Foundation. In the end, a broad burial site, much larger than the current cemetery, was found. Ms. Benedict says that the origins of those buried is unknown, adding that they could be native Chumash, or a combination of Chumash and Spanish soldiers. Both mission staff and Chumash tribal elders were on-site for the multi-day project. Any future marking or moving of the burials will be done with close approval of the Chumash, said Ms. Benedict. The Chumash tribal chairman, Kenneth Kahn, told a local newspaper that "he appreciated the great working relationship the tribe and the mission have currently," adding "the Chumash Tribal Elders Council is mostly concerned with protecting the newly confirmed burial site." "We've always understood that thousands of our people are on site there resting, and we want to make sure that we respect that and that any perimeters are respected as well," Kahn told the newspaper. "We know that a lot of activities take place on the mission grounds, and we want to make sure that there aren't any activities happening on top of the grave sites." On a bright morning in early May, members of the CMF board gathered in San Francisco. They came by car and by plane from all over the state and assembled in an office conference room on the Embarcadero. The purpose of this meeting was to begin the process of creating a strategic plan. Once completed, this plan will guide the activities of CMF for the next three years. For a plan to be truly strategic, it must attend to three distinct, yet interrelated concerns: 1) organizational structure, 2) stakeholder needs and expectations, and 3) measurable goals and objectives. With these concerns in mind, members of CMF's board engaged in a day-long workshop. The core of this meeting was a SWOT analysis workshop wherein the group contemplated CMF's many strengths and engaged in critical reflection of its weaknesses. The group then explored potential opportunities and grappled with future trends that may threaten CMF's ability to meet its mission. Having gathered this information, the strategic planning committee will soon begin consulting with CMF members and key stakeholders to further this initial analysis. Another important aspect of this planning process will be the study of similar institutions to get a sense of organizational models and success stories from similar institutions. CMF can do anything, but it cannot do everything. The strategic planning process allows for an analytical and systematic examination of what CMF is and what it can be. Equipped with this information, the board, its membership, and key stakeholders, can develop specific and measurable goals prioritized to maximize CMF's efficiency and its capacity to meet its mission. The Strategic Planning Committee expects to complete the planning process and to publish the strategic plan by early fall. In accordance with the CMF By Laws, the CMF Board of Directors elected its officers for the current year during the winter board meeting held in conjunction with the recent California Missions Conference. Dr. Ty O. Smith, formerly the vice chair of CMF and the former president of CMSA, was unanimously elected Board Chair. He will be joined on the CMF Executive Committee by newly-elected Vice Chair Jim Lazarus, Secretary Dr. Edith Piness and Treasurer Mike Imwalle. CMF’s Mission Studies Committee has announced the recipients of its 2017 Awards, which will be presented during the Saturday evening Awards Banquet at Mission Santa Ines: researcher Marie Duggan (Norman Neuerburg Award), outgoing CMF board chair Wayne Donaldson (Edna Kimbro Award), dedicated Mission Santa Ines archivist Sheila Benedict (Chairman’s Award), devoted Mission preservation supporter John Jenkins (Chairman’s Award), and long-time CMF board member and mission preservationist Dr. Edith Piness (Chairman’s Award). Mr. Donaldson was appointed by President Barack Obama as Chairman of the Advisory Council on Historic Preservation in 2010. He was formerly the California State Historic Preservation Officer serving two Governors from 2004-2012. He received his Bachelor of Architecture from California Polytechnic University, Master of Science in Architecture from the University of Strathclyde, Scotland and has received his Masters in Public History and Teaching from the University of San Diego. 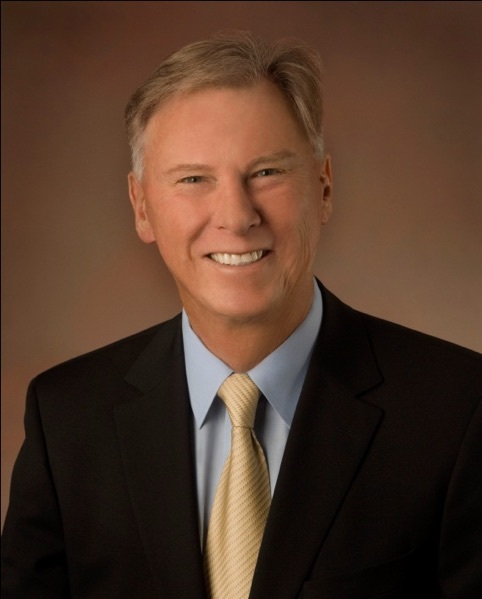 Donaldson is a former Chair of the State Historical Building Safety Board, past Chairman of the State Historical Resources Commission, past executive board member of the California Missions Studies Association and past president of the California Preservation Foundation. He is an architect of innovative design, contractor, and author and has received several awards in preservation architecture including the National AIA Historic Resources Committee Fellow, the California Council, American Institute of Architects Award of Excellence and the Historic Preservation Award, and was elected to the AIA College of Fellows in 1992. Architect Milford Wayne Donaldson, FAIA celebrates its 39th year practice in California, Arizona, and Nevada. 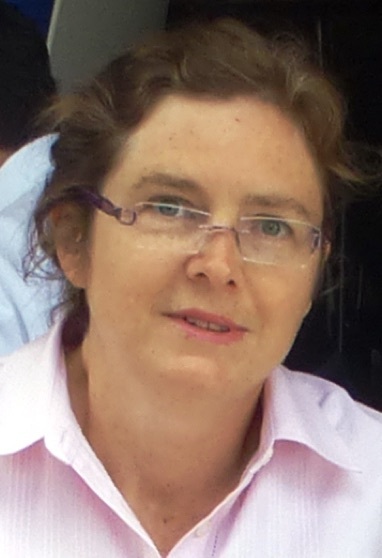 Dr. Marie Christine Duggan grew up in Berkeley, California and finished her education at the New School for Social Research in New York. Dr. Duggan studies how market forces shaped human lives in 18th century Spanish California and 19th century Mexican California. In 1995, Dr. Duggan located account books for nine California missions in Mexico’s National Archives, which were the basis for her 2000 PHD dissertation, Market and Church on the Mexican Frontier. She received in 1997 the Norman Geiger Fellowship for research at the Santa Barbara Mission Archive Library and the Haynes Foundation Fellowship for Research at the Huntington Library. She analyzed the Santa Barbara Mission-Presidio accounts at the SBMAL, and the San Francisco Mission-Presidio Accounts at the Huntington. In 1998, she received a fellowship from the Pew Program in Religion and American History at Yale University to analyze the De la Guerra business correspondence at the SBMAL. Quantitative analysis revealed the pattern of economic development in Spanish California, and showed the cessation of financing in 1810. In 2005, she published “Laws of the Market vs. Laws of God” in History of Political Economy (HOPE) describing how the missionaries responded to the cessation of financing in 1810 by turning to international commerce in hides and tallow. In 2016 she published in Pacific Historical Review “With and Without an Empire: Financing of California Missions Before and After 1810.” In 2012, she joined the Mexican Economic History Association (AMHE) and in 2014 the Iberian Society for the History of Economic Thought (AIHPE). She is currently writing a book: Piety and Profits in Alta California: Institutional Crisis and Change between 1769 to 1834, which situates California’s development in the context of the Spanish Enlightenment and Mexico’s trade with the Pacific Rim. She teaches economics at Keene State College in New Hampshire and is the mother of two children. Glenn Farris, Who Were the Likely Residents of the "Casas Para Familias" at Missions La Purisima Concepcion and San Juan Bautista? The California Preservation Foundation has announced that Old Mission Santa Barbara will be a recipient of a 33rd Annual Preservation Award at a gala dinner in Orange County on Thursday, September 29. OMSB is receiving the prestigious award for the work performed under a Save America's Treasure's Grant awarded to the California Missions Foundation. CMF administered the three year project. The award recognizes the extensive work at the Mission, both interior and exterior, which included repairs and painting of the Church's façade, repair of water damage in the convento wing, retrofit stabilization of the historic crypt, and the opening of the second story Rose Window. The matching grant from the Interior Department and the National Parks Service was the final of four Save America's Treasure grants awarded to California Missions Carmel, San Miguel, San Luis Rey and Santa Barbara. Following successful retrofit work on the Mission church, efforts have now been focused on the historic convento wing also in need of mandated retrofitting. Mission officials have made great strides toward their ultimate goal of retrofitting the entire quadrangle, but according to Mission Administrator Joan Steele, a lot of work and fundraising is still needed to complete the multi phase project. "Currently we have reached a milestone: Completion of Phase II (the South Convento) of the Retrofit/Restoration Project is within sight (goal being mid to late October, 2016. )," said Ms. Steele. "Work on Phase III has already begun. Roofing tiles have been removed from the Western Convento wing and the preparatory work in the attic has commenced. Between the parish business, the construction work, the daily visitors and the Retreat Center guests, the Mission is a busy place!" (left), Mr. John Jenkins of the Field Foundation (right), and CMF Executive Director David A. Bolton. The California Missions Foundation publishes a quarterly electronic newsletter, Correo, with news, calendar of events, and information about the California Missions and related historical sites. It also contains information about the California Missions Annual Conference, upcoming events which might be of interest to CMF members, and various other items of interest and concern. The Correo is supervised by CMF's California Mission Studies Committee as well as CMF's office staff. The electronic newsletter, Correo, is sent quarterly by email to members and other Friends of CMF. It also contains information about the California Missions Annual Conference, upcoming events which might be of interest to CMF members, and various other items of interest and concern. Submissions should be e-mailed as an attachment to: correo@californiamissionsfoundation.org.